Thank you to everyone who came out on Saturday, April 22 for our Birthday Bash and 3rd Annual STEAM Carnival at the Orange County Great Park! Over 3,500 attendees and 51 booth sponsors participated in this creative twist on the traditional carnival, providing children of all ages with fun, hands-on activities in an interactive atmosphere to spark their interest in Science, Technology, Engineering, Arts and Mathematics (STEAM). 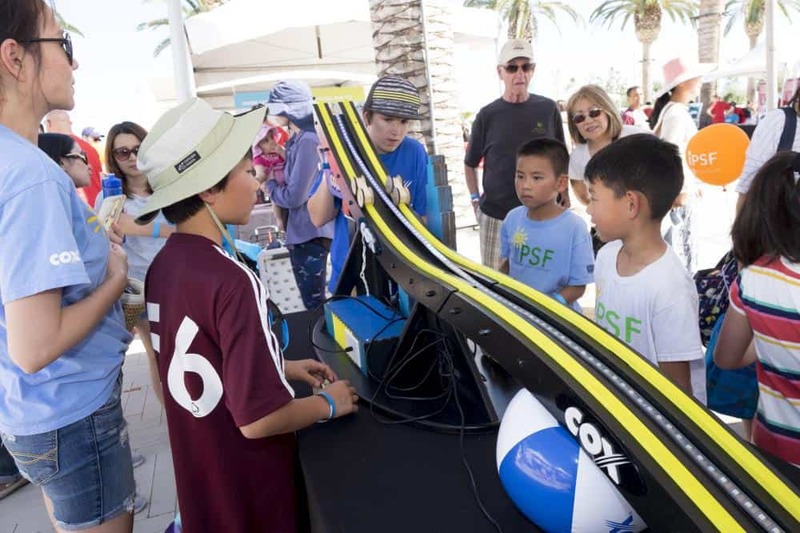 This year’s activities included building IP Packet Racers with Cox Communications, life size Human Foosball by Waste Management, and a virtual reality station by EON Reality, Inc., to name just a few. There was also plenty for adults too including a “Cheers to 20 Years” beer and wine garden featuring craft beer from TAPS Fish House & Brewery, wines by Bianchi and ONE HOPE, and delectable food tastings from Luna Grill and the newly-opened Texas de Brazil restaurant. Guests also enjoyed live musical performances by The Brevet, Island Apollo, and The Young Americans. We would like thank all our sponsors who made this event such a success, and to all of you who came out to celebrate IPSF’s 20 years of impact!